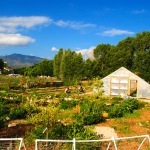 Become a Farm or Ranch Education Site! 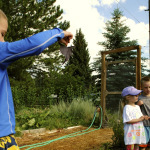 Guidestone partners with a number of different farms and ranches to provide our unique blend of agriculture education programming. If you have a farm or ranch and would be interested in becoming a program site for Guidestone’s Education Programs, we would love to talk with you further! Please contact andrea@guidestonecolorado.org or call (719)239-0955. 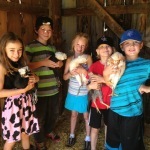 Farmhands meet the chickens at Moonstone Farm. 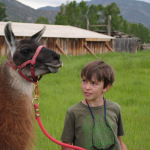 A Farmhand leads a llama a the Hutchinson Ranch. 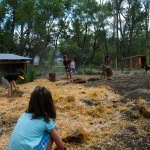 Farmhands preparing a pen at the Meadows Farm. Farmhands at the Morgan Center.